These photos are from my old archives. 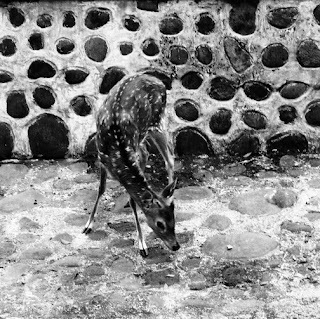 Seeing the deer in front of Bogor Presidential Palace (Bogor, West Java, Indonesia) is always fun; though I only can see them behind the fence. Some of them are very tame and they are nearing the fence to get carrots from the visitors. The deer which want nearing the fence must across the drain first. 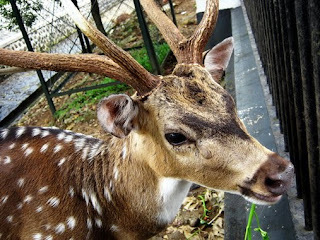 Every week end, many visitors come to see these deer. Sorry, I repost the deer portrait photo. Such delightful shots of these lovely creatures. They are so cute. Great shots. what a pretty creature! left you some love.. Very pretty. I love deer. They are one of my favorite animals! i LOVE those graceful creatures!